Ever since the first Macs appeared, they have been known for the graphical user interface (GUI): icons instead of command line work which before the mid-1980s was the norm. Paradoxically, the arrival of OS X brought with it easy access to the command line should users ever want this, although it is possible to use the computer without ever needing to work at the command line at all. Navigation in Terminal is fairly important: how to move around the folders (directories). With the normal list in the Home folder, typing the command cd then entering the exact name of the folder -- names are case-specific -- will move down one level. 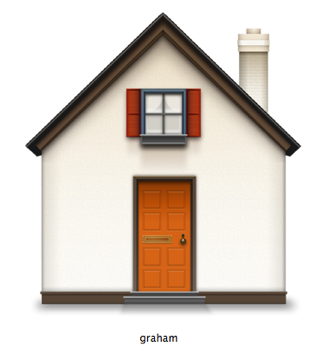 To move back up one folder (in this case to the Home folder), type in the command followed by a space and 2 dots. To see the folders in the Root level, again we can use the cd commands (e.g. cd or cd -ls). The display shows folders that we can see on the Mac as well as a number of folders that the system uses for its operations. Beware - Root is dangerous especially if working in the Admin account. Navigating up and down directory structures is sometimes complex. We can drag a location from the finder. For example, if I am working in Root and I want to return to the Home folder of my User account, I can type in the cd command, then using the Finder drag the house symbol to the Terminal window. The "path" -- the way down to the folder -- will be entered automatically. That will apply for any file or folder location.